San Francisco's historic 14,000 square foot event venue Bently Reserve has completed a renovation that includes new technology, brand new and refreshed meeting and event space, and an intricately restored entryway. Adorned with hand-painted travertine walls, Italian marble floors and original 1920s chandeliers, the impressive and highly versatile 8,045 square feet Banking Hall is ideal for weddings, galas and corporate events for up to 650 people. The space has been enhanced with restored columns, a brand new ceiling that incorporates the latest in technology for top-quality sound proofing, and a LED system upgraded to be more energy efficient and to showcase a wider range of color and displays. Adjacent to the Banking Hall is the brand new Adriatic Room and the newly refreshed Gateway Room, both featuring 870 square feet of space ideal for meetings and events. 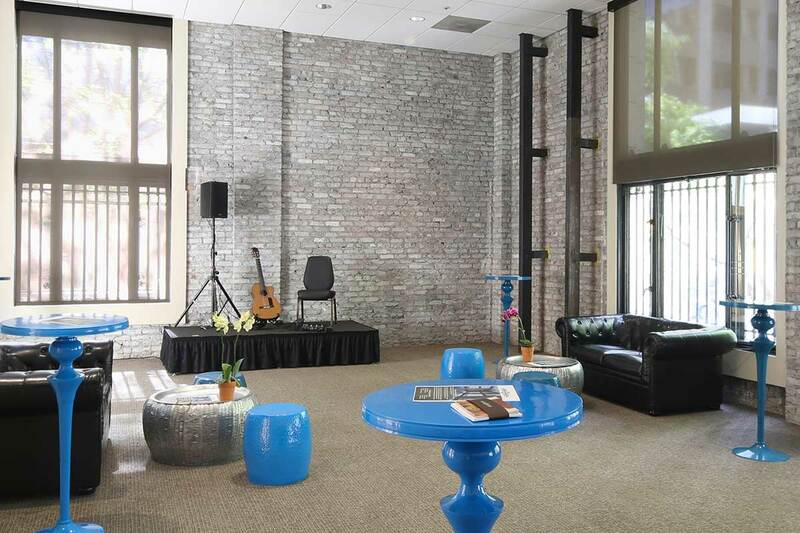 Showcasing the building’s stunning architecture, the Adriatic Room has original 1924 exposed brick walls and large windows overlooking downtown San Francisco, complemented by a brand new ceiling, LEED-certified carpeting and paint plus LED energy efficient lighting. The Gateway Room has been completely refinished to match the Banking Hall and Farallon Room. New unisex bathrooms adjacent to the Gateway Room add convenience and double the number of the restrooms available on the first floor. The Battery Street entrance, which is the main entryway to the Bently Reserve, has been intricately adorned with Gypsum stone florets custom designed to match the original 1924 design at the original entrance on Sansome Street.